The BIOLYFE project aims at improving critical steps of the second generation bioethanol production process and at demonstrating the whole supply chain, from feedstock sourcing via fuel production to product utilisation. The main result will be the construction of an efficient second generation industrial demonstration unit with an annual output of about 40,000 tons of lignocellulosic bioethanol. The project is developing technologies allowing an increased and economically viable utilization of the lignocellulosic feedstock for the production of 2nd generation bioethanol. In order to achieve this objective, BIOLYFE project focuses on hydrolysis and fermentation steps. The BIOLYFE process starts with feedstock pre-treatment in a two-step steam explosion process developed by Chemtex. Recent pre-treatment tests showed good results in extracting considerable amounts of hemicellulose and cellulose. In addition, it was found that the formation of inhibitors is comparably low. In parallel, project partner Novozymes further developed their products for enzymatic cellulose hydrolysis. The new cellulase complex showed significantly improved performance in tests on BIOLYFE feedstocks conducted by the project partners. Further improvements are expected in the optimization of enzyme mixtures. In the BIOLYFE process, an enzymatic pre-hydrolysis step for viscosity reduction is combined with a subsequent fermentation step, in which the enzymatic hydrolysis is completed while the released sugars (both hexoses and pentoses) are fermented to ethanol. The simultaneous saccharification and fermentation (SSF) process, as well as the performance of co-fermenting yeasts is assessed with a special focus on increasing the content of water insoluble solids during the fermentation. Please see www.biolyfe.eu for more information. In this BIOLYFE newsletter issue, we would like to present the latest news on BIOLYFE on-going activities as well as news from other related EU projects. In addition, you will find the latest information on the 20th European Biomass Conference and Exhibition. 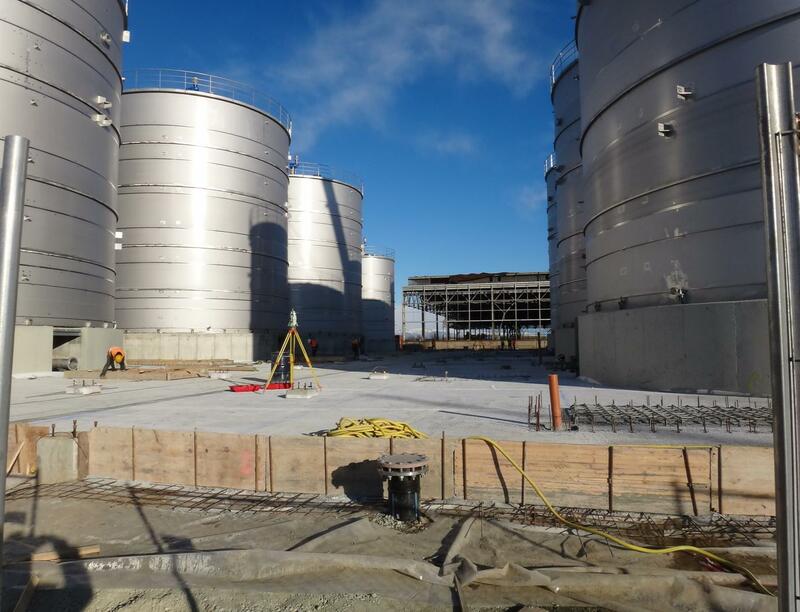 The plant is scheduled for start-up by the end of 2012 and will be the first industrial facility in the world producing second generation bio-ethanol. In addition, the plant will produce 15 MW of green power from lignin for own consumption and injection into the grid. The plant will apply Chemtex’s PROESA® Technology which allows delivering superior economics to convert non-food biomass to sugars for the production of bio-ethanol or bio-chemicals. The technology will be licensed in the global marketplace by newly founded BETA RENEWABLES, a joint venture with TPG Capital and TPG Biotech. Beta Renewables has invested over $200 million (€140M) in the development of the PROESA® process, for converting a range of non-food cellulosic biomass, such as Arundo donax, into cost-effective sugars for the production of bio-based products. PROESA™ combines an enzymatic pre-treatment process with fermentation. PROESA’s parameters are adjustable, providing flexibility in the desired output of C5 sugars, C6s and lignin to be used in the production of ethanol or chemicals. PROESA provides better overall performance and economics than other hydrolysis or gasification technologies the company is aware of. Over 1,000 plants are projected to be needed by 2025 to meet global demand for these products. Colbiocel: In September 2011, Colbiocel announced their intent to use PROESA for a cellulosic ethanol plant in Columbia with a capacity of 85,000 tons per year (kTa). The plant will use sugarcane bagasse as feedstock. Colbiocel Columbia focuses on the development of processes for the production of renewable energy from agricultural waste to reduce the dependence on fossil fuels. The project will promote technological development as well as bring significant economic and social benefits. GraalBio: In October 2011, GraalBio announced their intent to use PROESA for the first industrial-scale cellulosic ethanol plant in Brazil. GraalBio Investimentos S.A., is an integrated second generation biofuels and biocehmicals company wholly-owned by the Brazilian entrepreneurial group Graal Investimentos S.A.
GraalBio plans to became the preferred partner to implement promising technologies with Bazilian biomass by investing in the development of industrial plants, new crops, research and development, patents, licenses and know how as well as promoting strategic alliances with companies that have been developing biomass conversion technology worldwide. Chemtex and GraalBio are also in discussion regarding a broader cooperation to develop and produce biofuels and biochemical’s in Brazil. 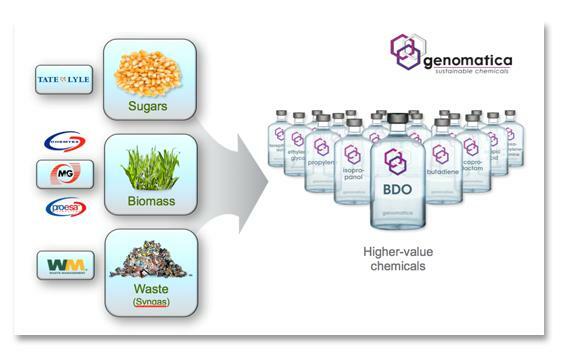 Genomatica: In January 2012, Genomatica announced the acquisition of exclusive worldwide rights to use PROESA for the production of the intermediate chemical butanediol (BDO) from biomass. Integrating PROESA with Genomatica’s direct biological process will result in a complete, proprietary process for the second-generation manufacturing of BDO using non-food, cellulosic biomass as feedstock. Genomatica is a technology leader for the chemical industry. It delivers new, transformative manufacturing processes that enable its partners to produce intermediate and basic chemicals from renewable feedstocks. Genomatica’s processes are designed to achieve better economics with enhanced sustainability and a smaller environmental footprint than conventional, petroleum-based manufacturing processes. Codexis: In July 2011, Codexis announced a collaboration to develop and produce second-generation detergent alcohols from cellulosic biomass for use in the household products market. Chemtex will design and build Codexis production facilities. Detergent alcohols - a $6 billion worldwide market - are surfactants which stabilize mixtures of oil and water. They are widely used in laundry detergents, shampoos and other consumer products. Detergent alcohols today are made from non-sustainable palm kernel and petroleum sources. Codexis is a clean technology company developing optimized biocatalysts that make industrial processes faster, cleaner and more efficient. Codexis' technology is commercialized with leading global pharmaceutical companies and in development of advanced biofuels as well as carbon capture with Shell. Other potential markets include chemicals and water treatment. Amyris: In June 2010, Amyris announced to work on the integration of PROESA with their technology platform to produce renewable fuels and chemicals from biomass. Amyris has developed advanced microbial engineering and screening technologies that modify the way microorganisms process sugars. Amyris is using this industrial synthetic biology platform to design microbes, primarily yeast, and use them as living factories in established fermentation processes to convert plant-sourced sugars into renewable chemical and transportation fuel products. Please visit Beta Renewables website to find more information on PROESA technology and the first demo plant supported by the European Commission in the framework of the BIOLYFE project .In addition, we invite you to view the presentation of CEO held at the National Ethanol Conference in February 2012. The 20th European Biomass Conference and Exhibition will take place from 18 to 22 June 2012 at the Milano Convention Centre - MiCo in Italy. The international science and technology conference of the 20th EU BC&E comprises more than 800 presentations in plenary, oral and visual sessions. The 20th EU BC&E attracts policy and industry decision makers through several parallel events addressing special topics which are currently in the focus of discussion. EU BC&E reported an extremely high number of research and industry abstracts received for the 20th European Biomass Conference and Exhibition. Over 800 research and industry contributions were provided from 61 countries showing a significant interest of the stakeholders. The international Scientific Committee, made up of 140 experts of the biomass community, completed the evaluation of the submitted abstracts and is currently making its final selections, for the conference programme. The Programme is expected to feature 24 plenaries, more than 240 oral, and around 600 visual presentations. As novelty for 2012, special events, e.g. on Biogas, Biowaste to Energy, Biofuels for Aviation, Bioenergy in Smart Grids, have been developed as platform within the conference, contributing to make the EU BC&E a novel B2B2S Business to Business to Science event. Currently, nearly all bioethanol to be used as transportation fuel is produced using the 1st generation technology, which is mainly based on the use of sugarcane or corn as raw material. The aim of the NEMO project is to develop the 2nd generation production technology based on the utilisation of lignocellulose from agricultural and forestry residues. The project focuses on technology development needed for cost-effective production of the next generation biofuel. The NEMO project is funded by the Seventh Framework Programme for research and technological development (FP7). The NEMO project will organise the Biorefinery Summer School 2012 in collaboration with BIOREGS, Bio4Energy and Umeå University on 23-25 May, 2012 in Örnsköldsvik, Sweden.